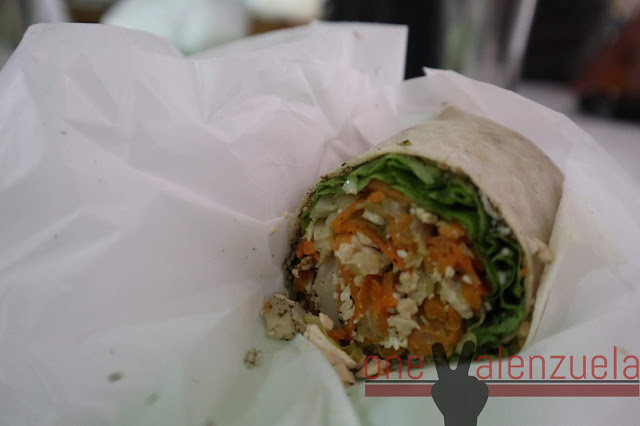 There are food spots which are somewhat tricky to look for but are worth the effort and time to search for. One Valenzuela found herself looking for a humble pansitan in one of the streets of Barangay Malanday, Valenzuela City. 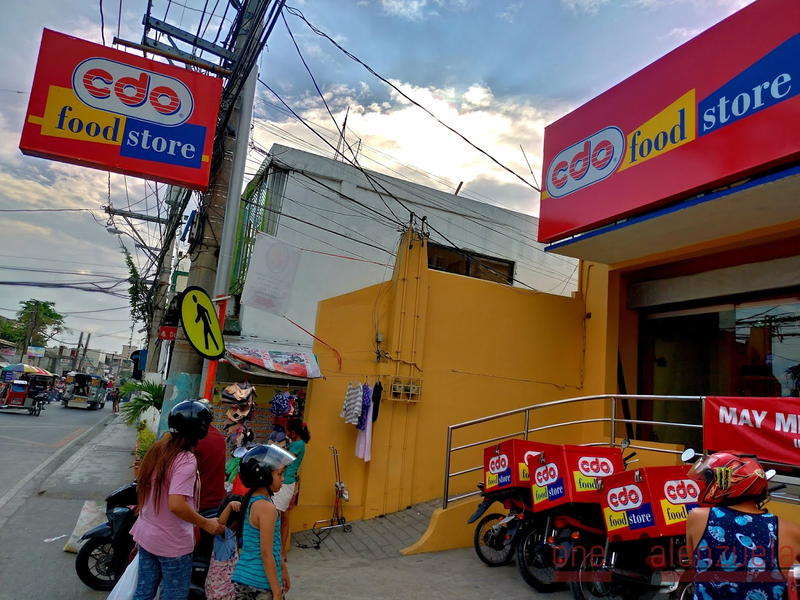 The blog has recently received several messages regarding this pansitan, mentioning that this family-owned kainan cooks really good Pancit Malabon. 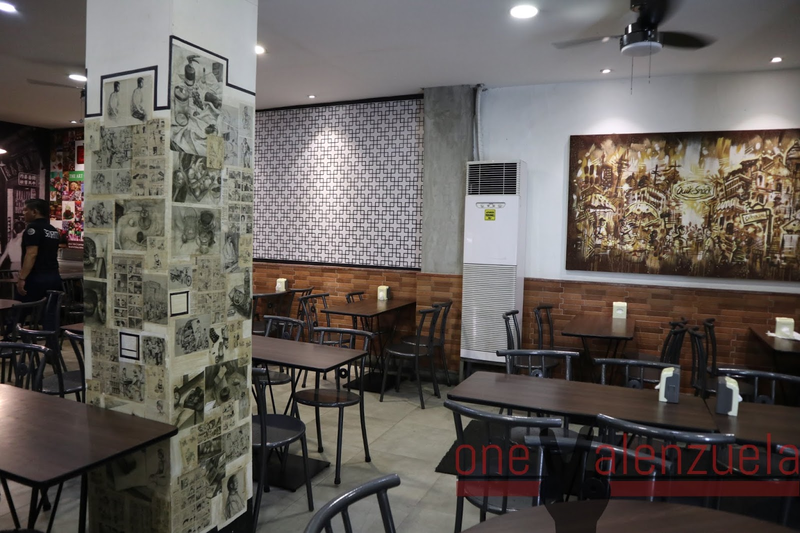 The eatery is named after their well-loved grandmother, Aling Norma. 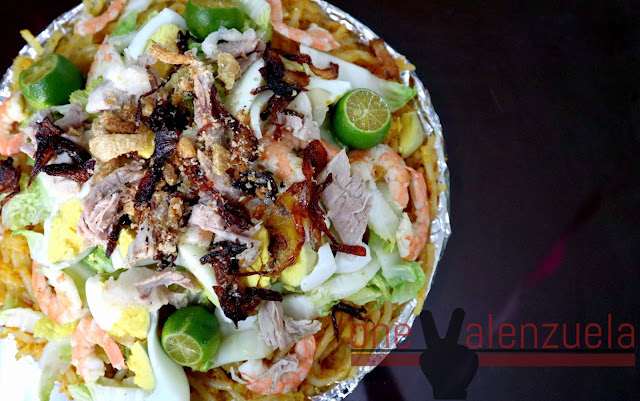 This humble place serves authentic Pancit Malabon which many Valenzuelanos have already raved about since it opened. 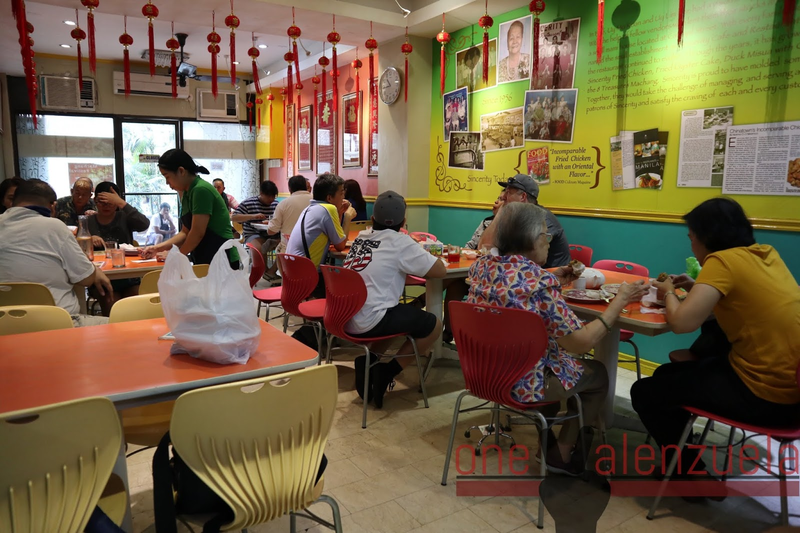 By meeting the Valdez family, One Valenzuela learned that Pancit Malabon was among the favorites of Aling Norma, who was a long time fruit seller just across Malanday Market. She also cooks well - a talent which she was able to pass to her children. Feast on some pansit palabok! 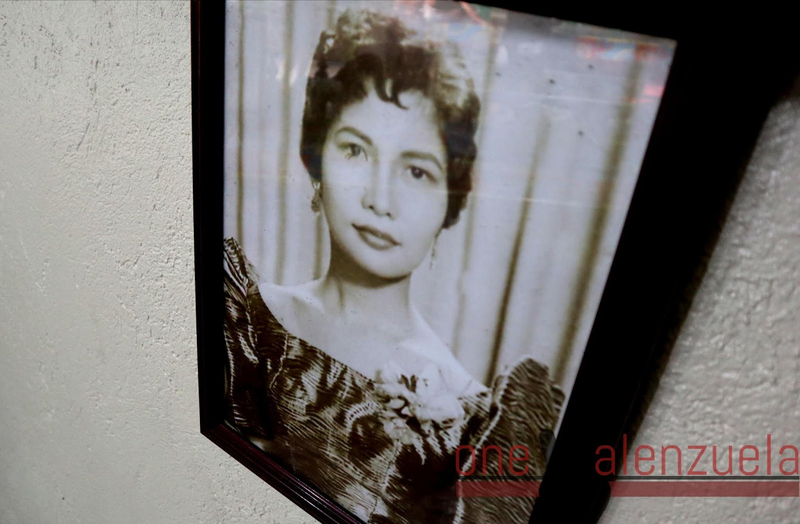 Aling Norma during her younger days. 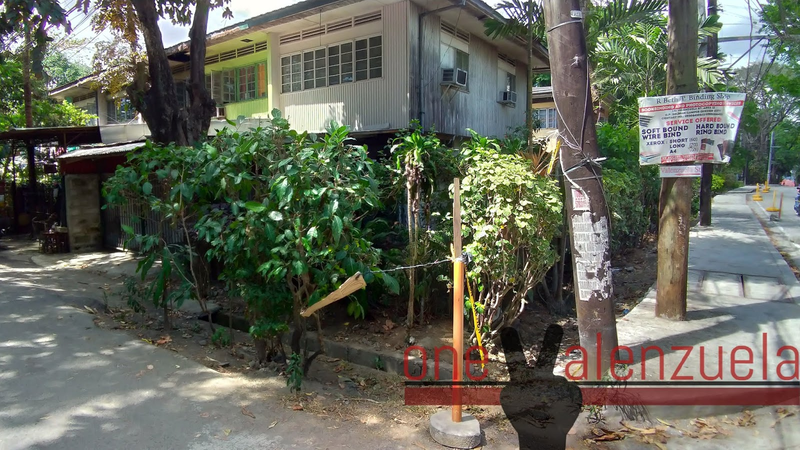 Papa Arnel Valdez also recounted that their house was transferred from Malabon to Valenzuela in 1962. "Nilipat yung bahay kubo namin mula sa Malabon papuntang Malanday, Valenzuela. Nagkaroon ng bayanihan noon," Sir Arnel remembered. 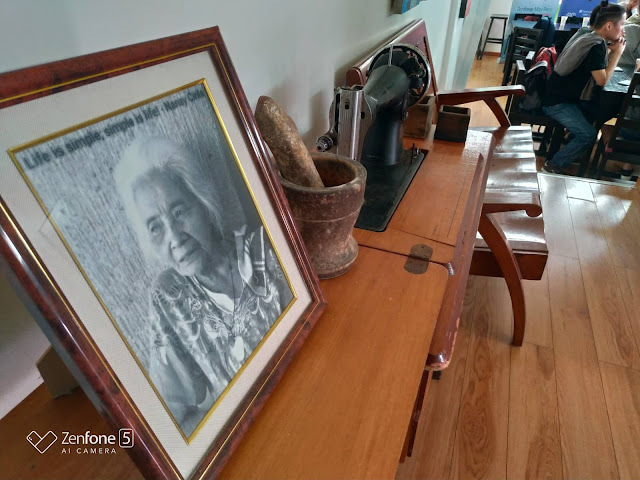 Papa Arnel Valdez, her eldest son, now cooks Aling Norma's favorite meal. 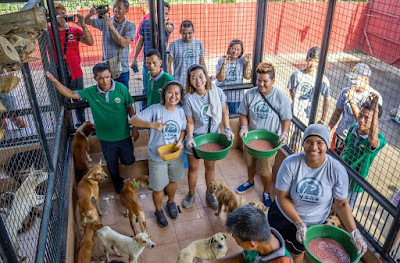 "Nineteen years old palang ako, sumasakay na ako ng barko," Papa Arnel mentioned. He has been a ship cook for 37 years already. 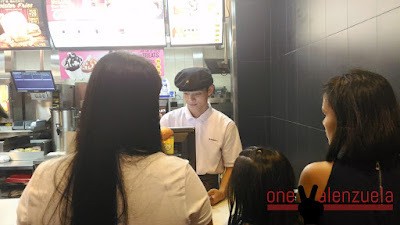 From there, he accumulated a rich cooking experience and exposure to a wide variety of cuisines. Papa Arnel Valdez of Aling Norma's Pancit Malabon. 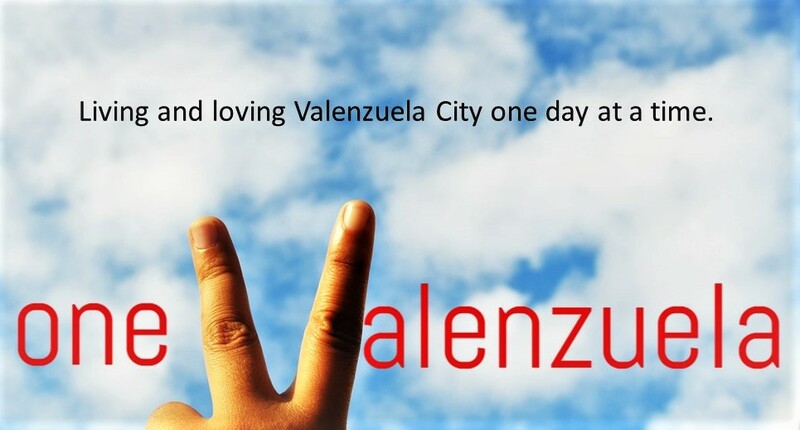 One Valenzuela saw the dedication and perseverance. 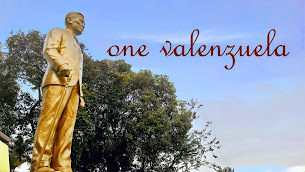 A Valenzuelano worth emulating. 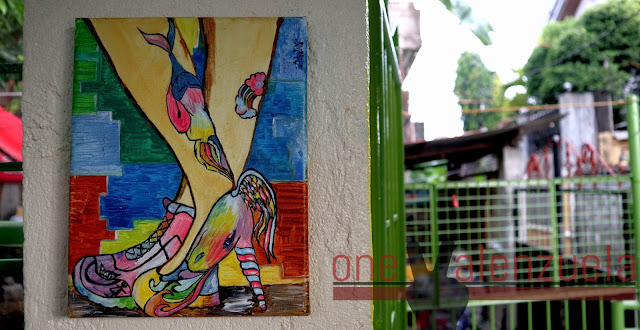 Artworks adorn the walls of the eatery. Another amazing painting on the wall. 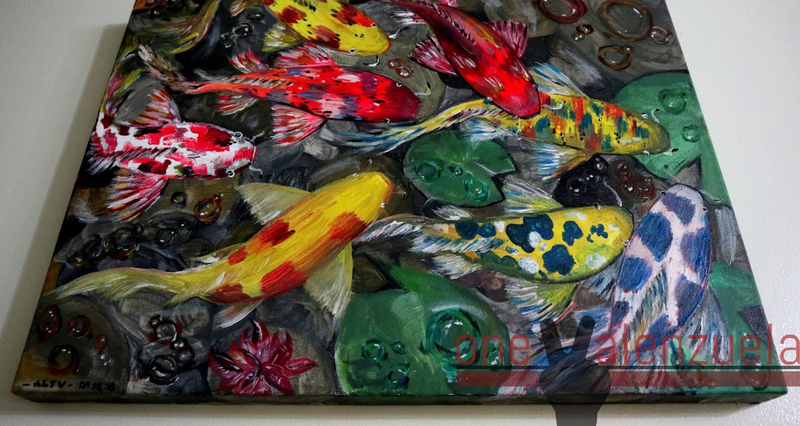 This reminded One Valenzuela of the fishes in the park. Authentic Pancit Malabon. 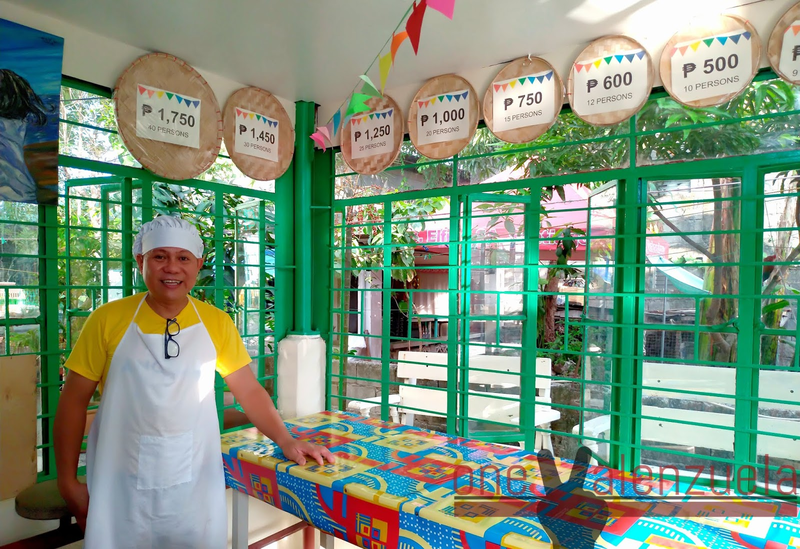 Sir Arnel gets their pansit's ingredients from Malabon. You can have a plate of pansit at Php50.00 each. It is very filling and flavorful. You may also order this in packs. What's different about Aling Norma's Pancit Malabon? 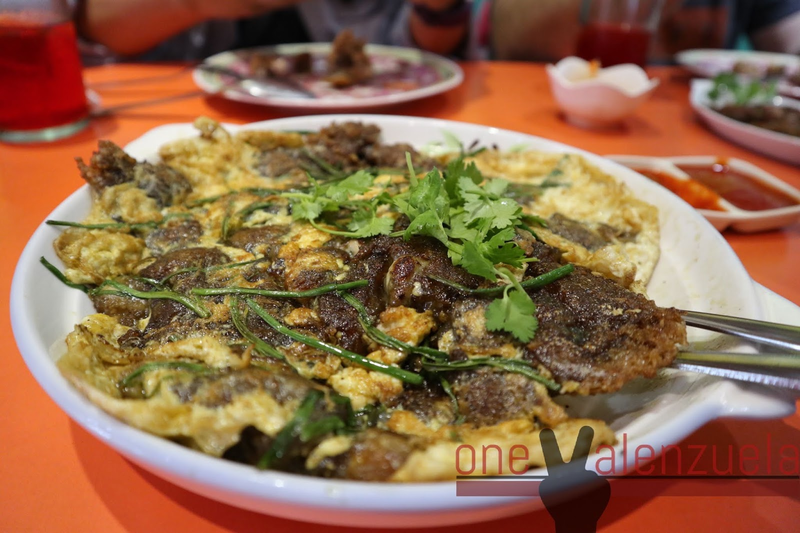 It has strips of caramelized onion on top which gives it a richer taste. Of course, it has those big shrimp slices, pork strips, egg chunks, chicharon, and crisp veggies as well. 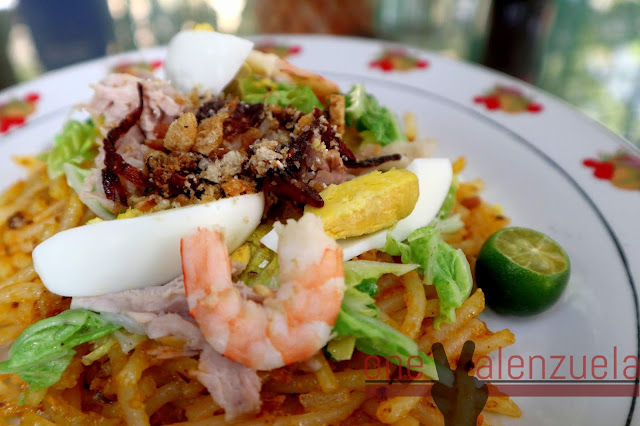 Aling Norma's Pancit Malabon also serves lutong ulam every Friday. 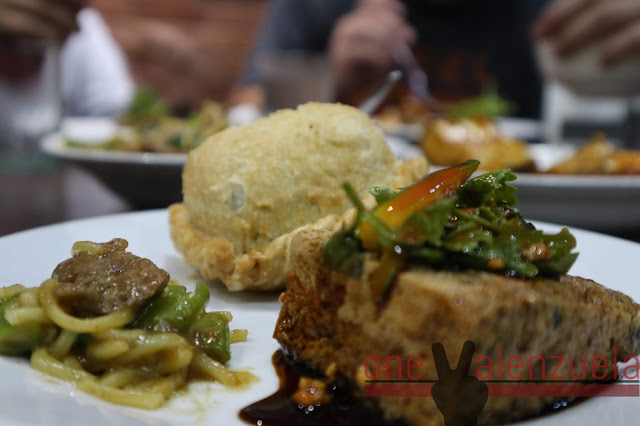 Some of the dishes that you have to try are the following: Dinuguang Malabon, Fish Burger / Bidbid, Tortang Alimasag, Japanese Pork Teriyaki, Burger Steak with Mushroom Sauce, Korean Hot Pork, Lumpiang Hubad, Mexican Fish Fillet, Indian Tandoori Chicken, Ginisang Tahong, Stuffed Bell Pepper, Sweet Chicken Wings, Camaron Rebusado, Sweet and Sour Chicken, Bola-bola, etc. The menu varies and may also include more Japanese, Korean, Indian, and European dishes. A big heap of Pancit Malabon for Php300. This bilao can serve six people. 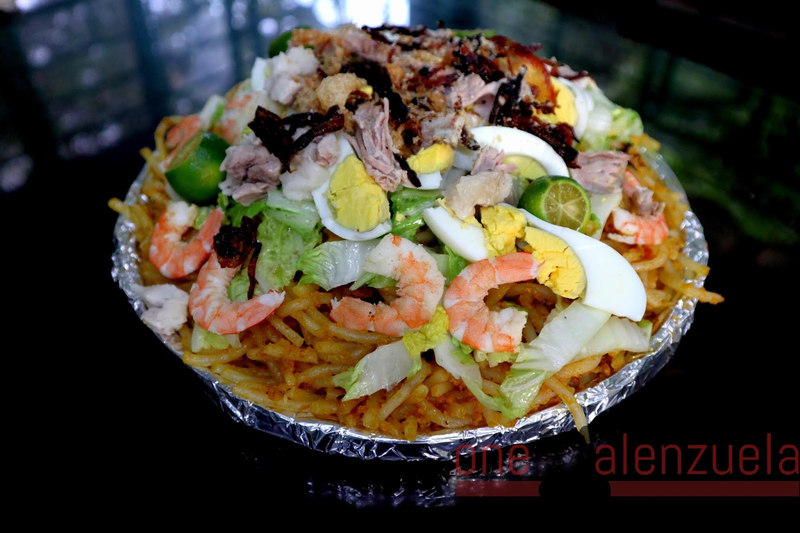 Aling Norma's Pancit Malabon has a variety of bilao sizes which will fit your needs. 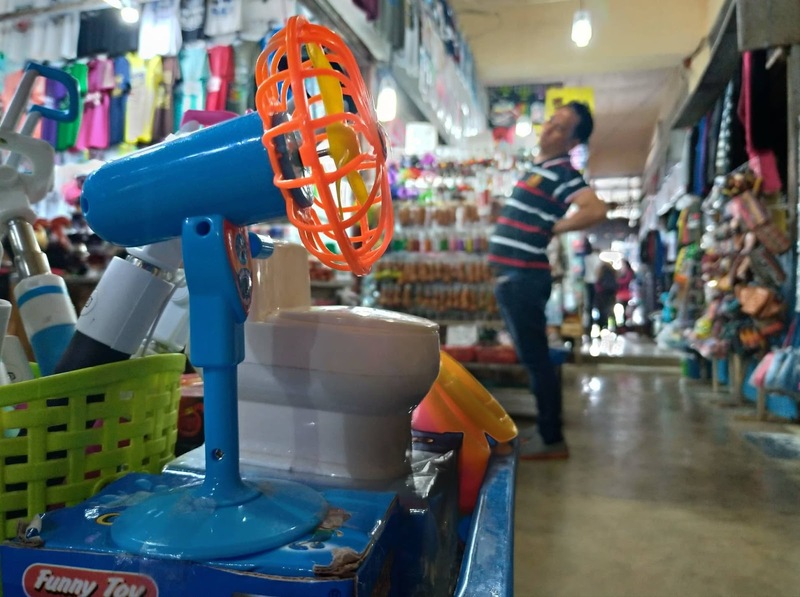 Pansit na di tinipid. One of the reviewers on Facebook mentions that it is the best palabok in town. 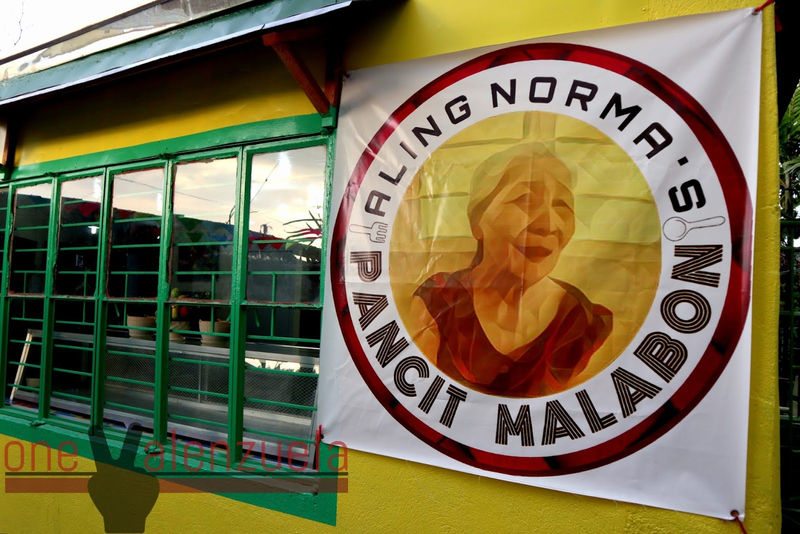 Finally finding Aling Norma's Pancirt Malabon at A. Duque Street in Malanday was like finding a piece of Malabon, one of our neighbor city, in Valenzuela. 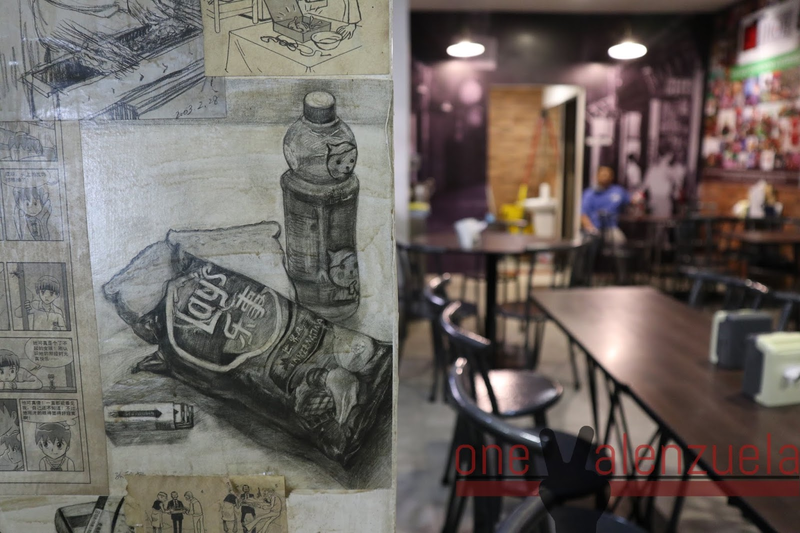 Another food spot uncovered for more people, especially Valenzuelanos, to enjoy. 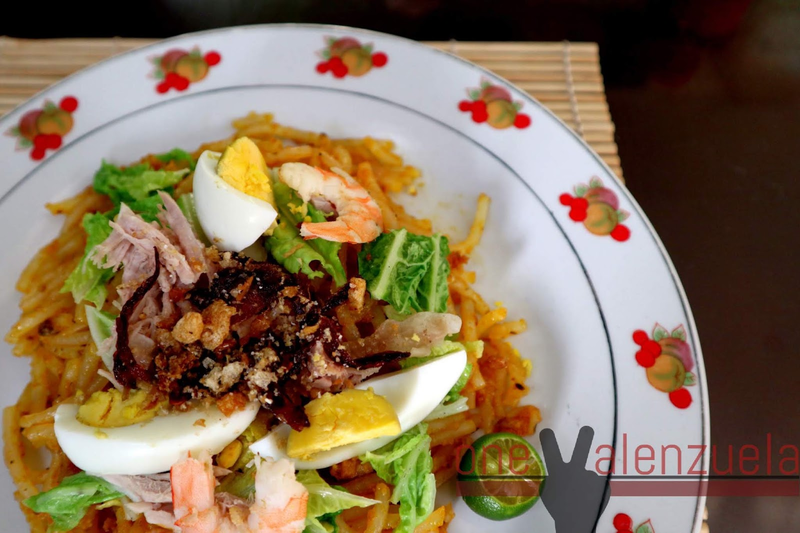 Like Aling Norma's Pancit Malabon on Facebook here. 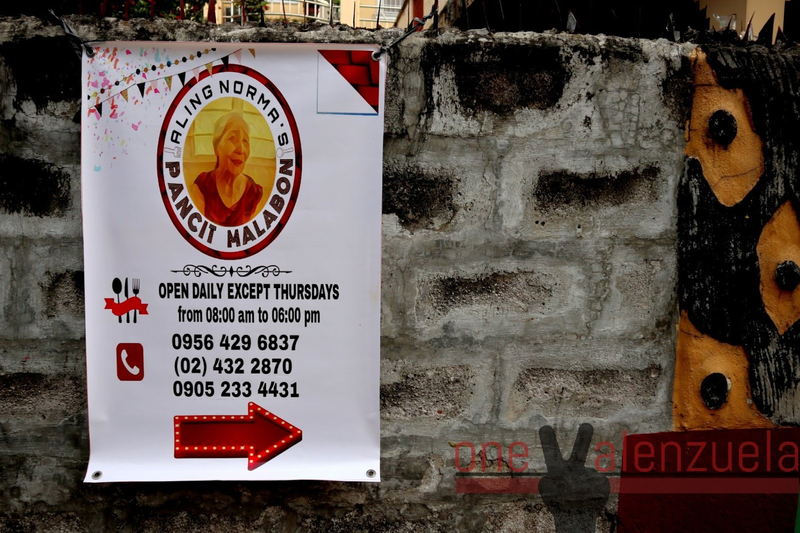 Aling Norma's Pancit Malabon is open daily from 8:00am to 6:00pm, except Thursdays. The landmark is CDO Malanday. A. Duque Street is just beside it. 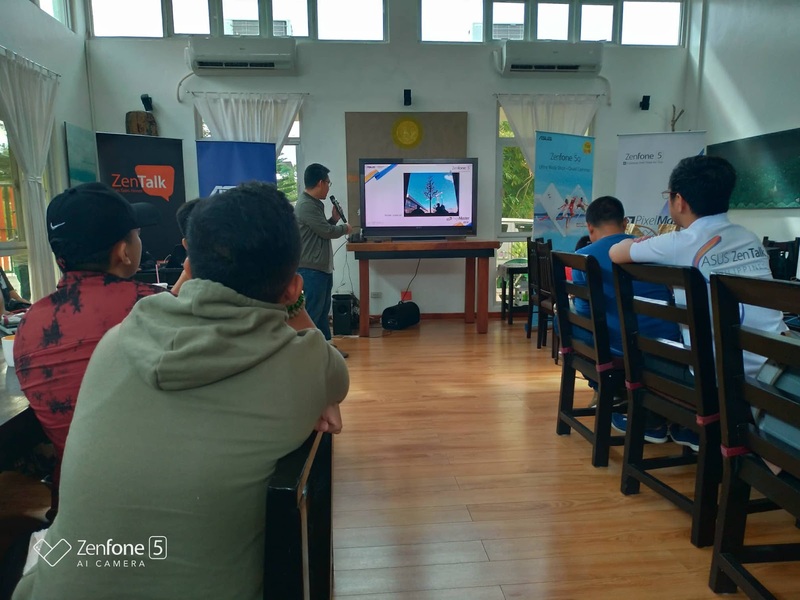 One Valenzuela had a long week surviving deadlines, run trainings, and night classes after Day 1 of the ASUS PixelMaster Master Class last January 19 but she was already looking forward to Day 2 on the next weekend! It's like longing for dessert - that's how it feels when you just had an amazing learning experience. 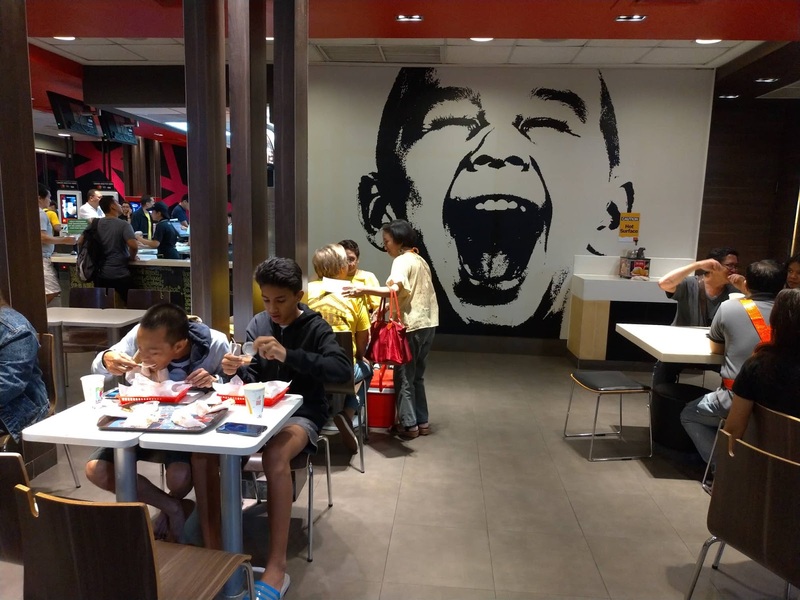 Huddle time at McDonald's Eton Centris was 5:30am and because the taxi was fast (but not furious, Manong was fun to talk to), One Valenzuela arrived early. Yeah, the earliest bird! (Who's not excited?) 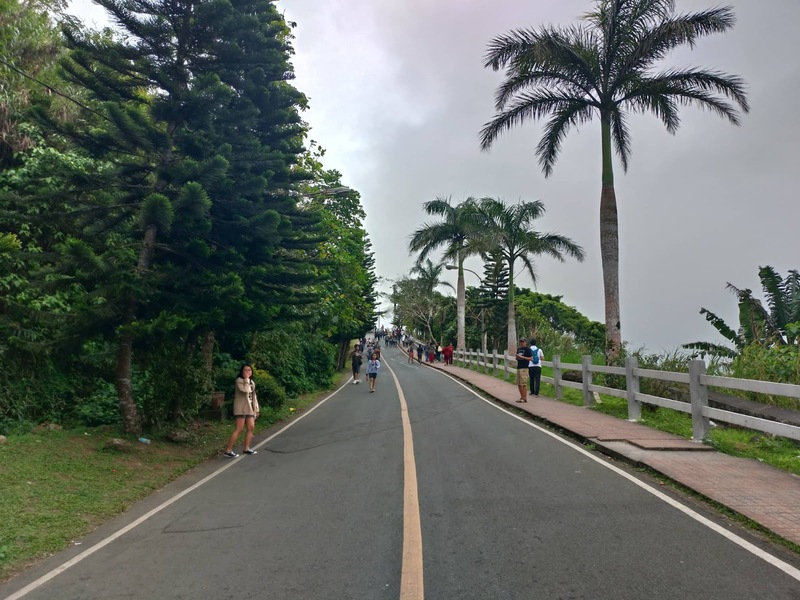 Eventually, everyone came and they were off to cold and breezy Tagaytay! She tried to remember everyone in the van - Roi, JP, Melanie, Ranzel, Mark. Beautiful people. It's not One Valenzuela's first time to visit Tagaytay but it is her first to go there for a class, a group photowalk, and her first time to visit Nanay Cirilas' Kapeng Barako. The ASUS ZenTalk Team definitely selected a great place to have Day 2. One Valenzuela felt the welcoming ambiance that a cherished home brings. Nanay Cirilas' Kapeng Barako is located at Mayor's Drive, Tagaytay City. 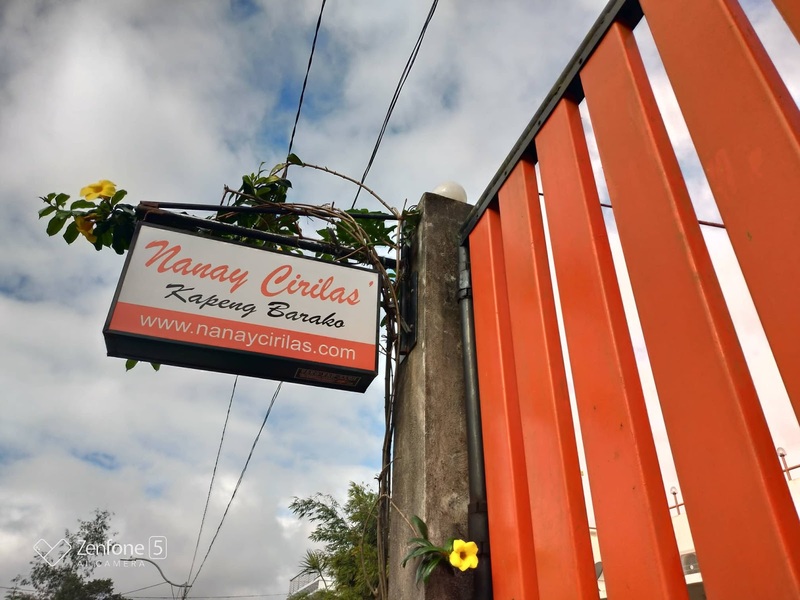 Nanay Cirilas: Life is simple, simple is life! The group was off on a good start. PixelMaster Jasper spent the morning with a lecture on how each one of us can take better photos. 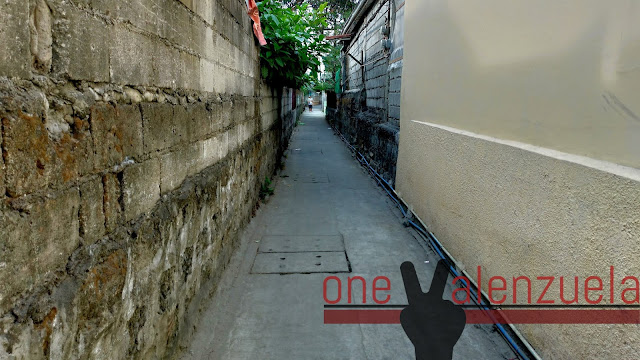 By this time, One Valenzuela has realized how powerful ASUS Zenfones are. 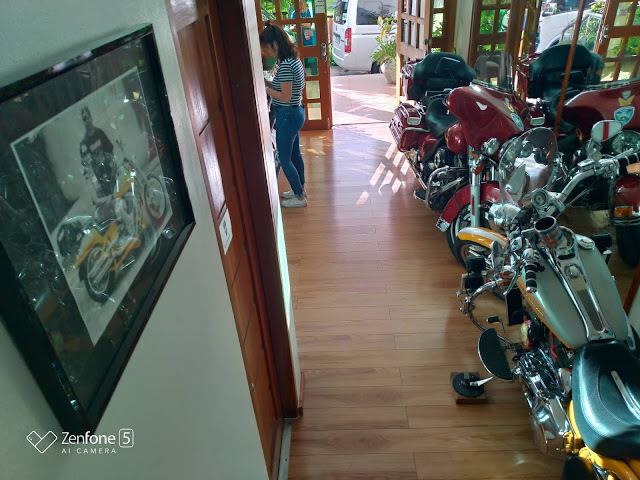 She has been using the ASUS mobile line for many years now (and yes, they are all still working after years of loving them) and has seen its very positive progress. Viewing the photos taken on Day 1. The special awards for Day 1 was also announced after the lecture. 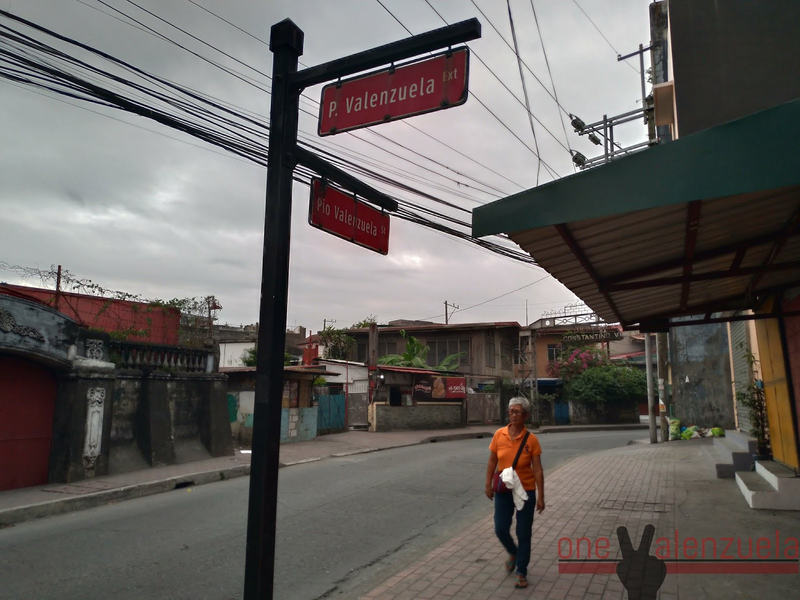 One Valenzuela tried to embrace the concepts on that first session. In everything you do, try to give your best, right? She guessed that the stars aligned that day because One Valenzuela was awarded with the PixelMaster's Choice Award. Wow, just wow. She never thought that her photo set will make it. Salamat po. Hot coffee, crispy tawilis, and beef bulalo. For someone who love taking photos and food … this is just divine. Here's a closer look to make you hungry. After a sumptuous lunch and a good talk with new found friends, they went to two locations to take photos: People's Park and Tagaytay Market. Being a blogger who is into food and exploring places, One Valenzuela was really excited to revisit these spots. Going back to Nanay Cirilas' Kapeng Barako after a full day was surely pleasing. 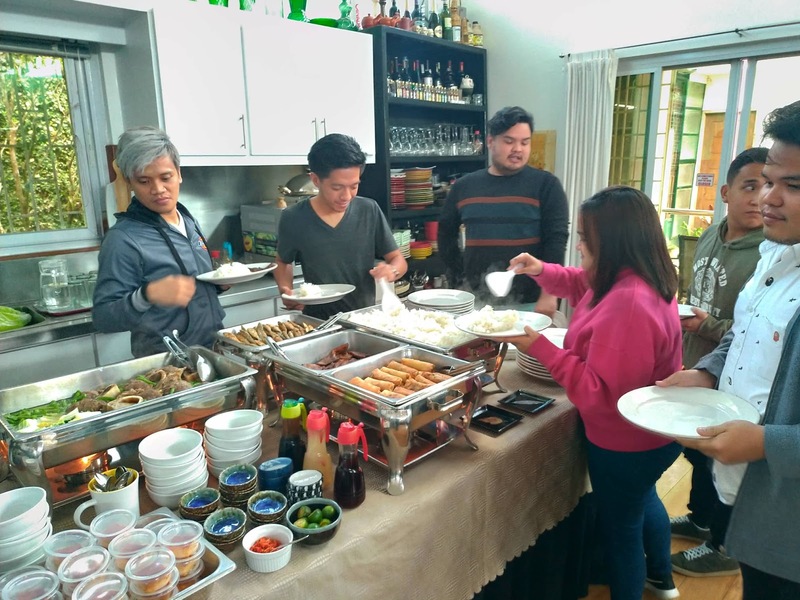 Served with more coffee and freshly made pichi-pichi on banana leaves was comforting as the group prepared their photos for the critique session. 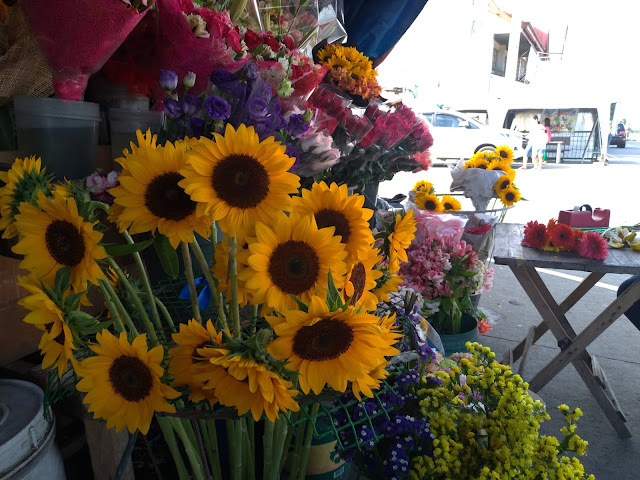 Brighten your day with some flowers. Last snap before going to Nanay Cirilas' Kapeng Barako. One Valenzuela, Keep on telling stories of Valenzuelanos! All the best on your photography journey. 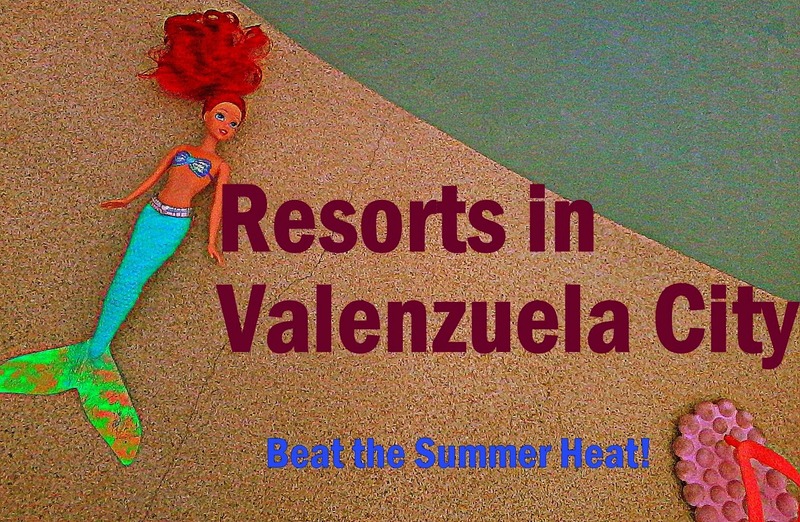 At the end of the day, One Valenzuela bagged more than she expected. Yes, being among the awardees for the PixelMaster Master Class Batch 6 was already the icing on the cake (Second Best Photographer of the Batch!). She learned from a Street Photography guru - Pixel Master Jasper Tejano made sure that the group is armed with new knowledge and better skills in snapping shots on the streets or wherever they may go. She gained new friends who are into street photography as well and now she is looking forward to more group photowalks in the future. The ZenTalk team? 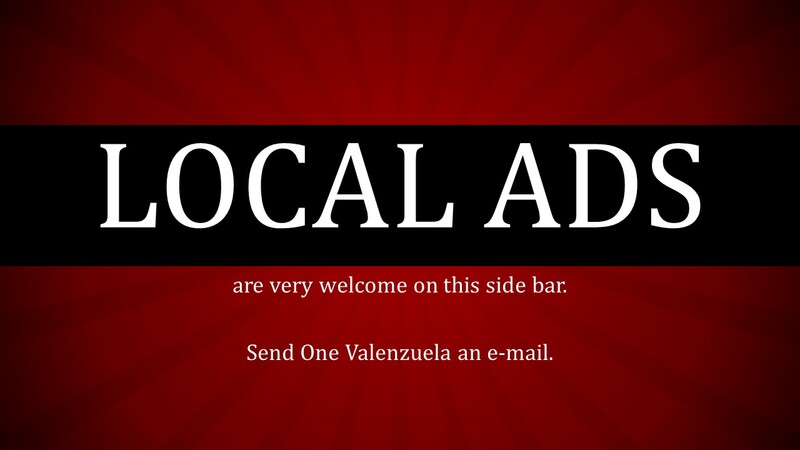 One Valenzuela wants to give them a big bear hug! ASUS? Now that's a brand which nurtures relationships. 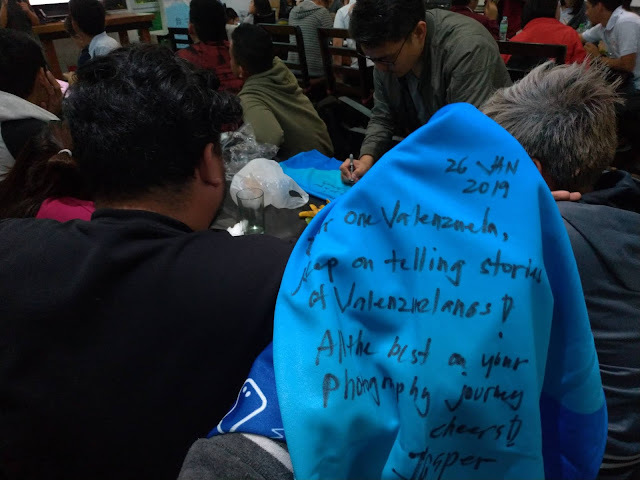 With all these wonderful experiences, One Valenzuela got her love tank filled and is now ready to tell better stories about Valenzuela City and beyond. Warmest thank you, ASUS! Like and follow on Facebook here. 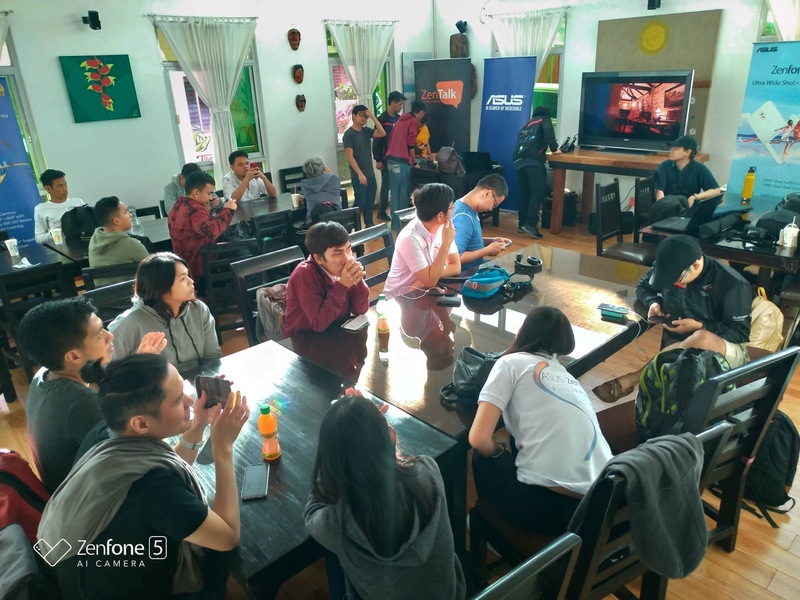 Zenfone users? Like and follow ASUS ZenTalk Philippines here on Facebook. Hugs, ZenTalk PH team! Follow PixelMaster Jasper on Instagram here. Salamat po, Sir! 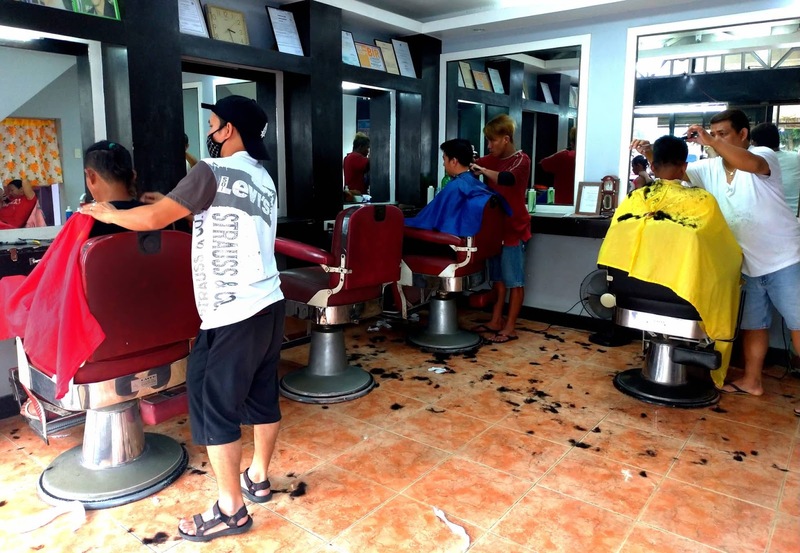 Nanay Cirilas' Kapeng Barako is a haven. Check their Facebook page here. 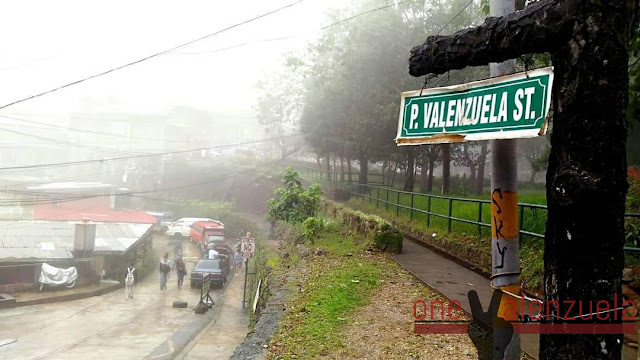 One Valenzuela's accounts? Connect with her on Facebook, Instagram, Youtube, and Twitter! Binondo has always been a favorite of One Valenzuela when it comes to food trips beyond Valenzuela City. 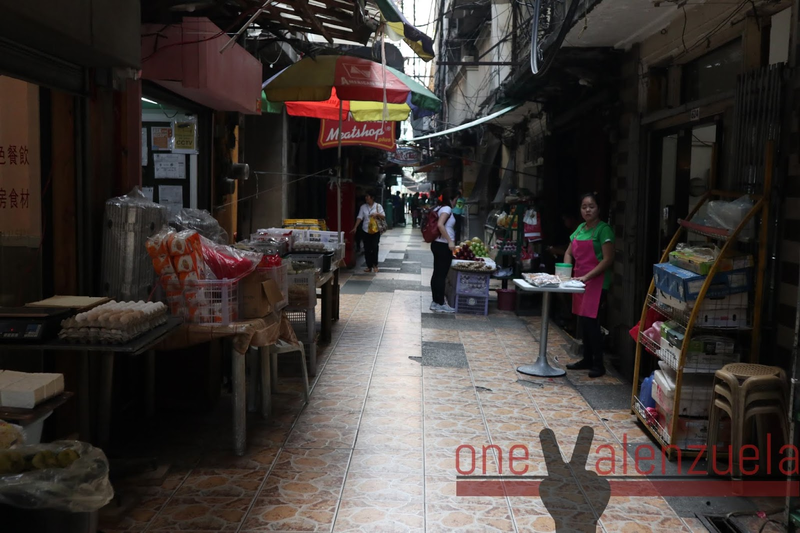 Who wouldn’t fall in love with the old charms of Binondo and its wonderful food? Although this blogger has been to Chinatown several times, creating her own eatsploration itinerary, she has always wanted to be part of a food walk. And so she eventually had the spare time to join one with the well known Mr. Ivan Dy of Old Manila Walks who became their guide on that beautiful Saturday morning. 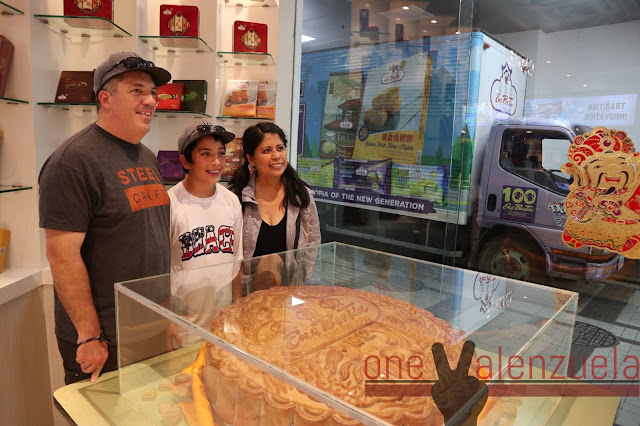 Sharing the highlights of the tour here on the blog to serve as a reference for those who will be finding themselves along the streets of Chinatown this Chinese New Year 2019. 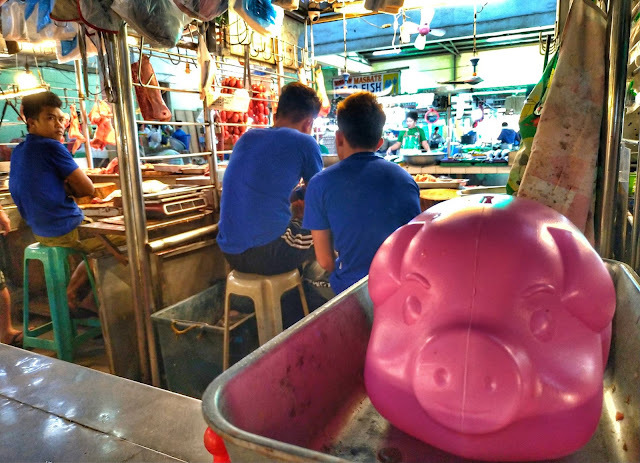 The Binondo Food Wok begins at the Binondo Church. Beautiful Binondo Church. Here's where all the participants huddle together. Mr. Ivan Dy shares the colorful history of Binondo. His discussion was so rich that it feels like you are being transported in the past. 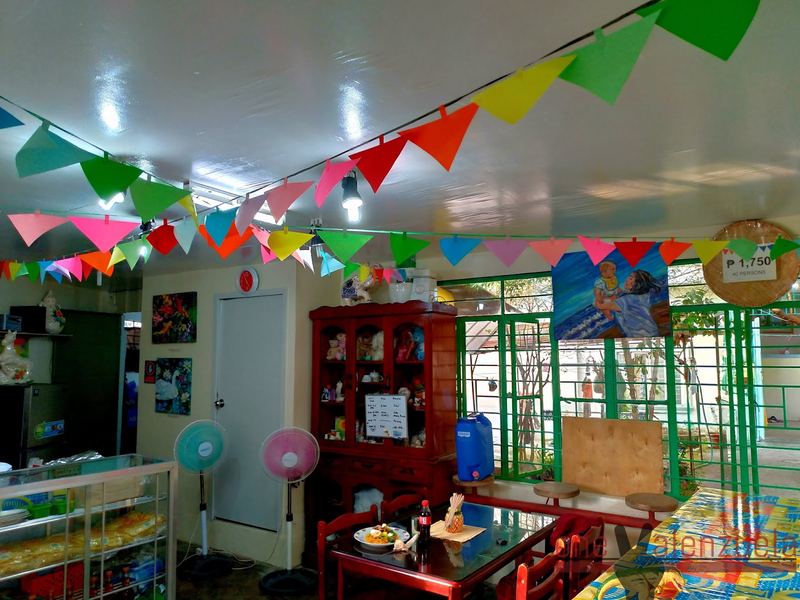 1st Stop : New Po-Heng Lumpia House – There are many forms of lumpia and New Po Heng Lumpia House is well known for its fresh lumpia variety. 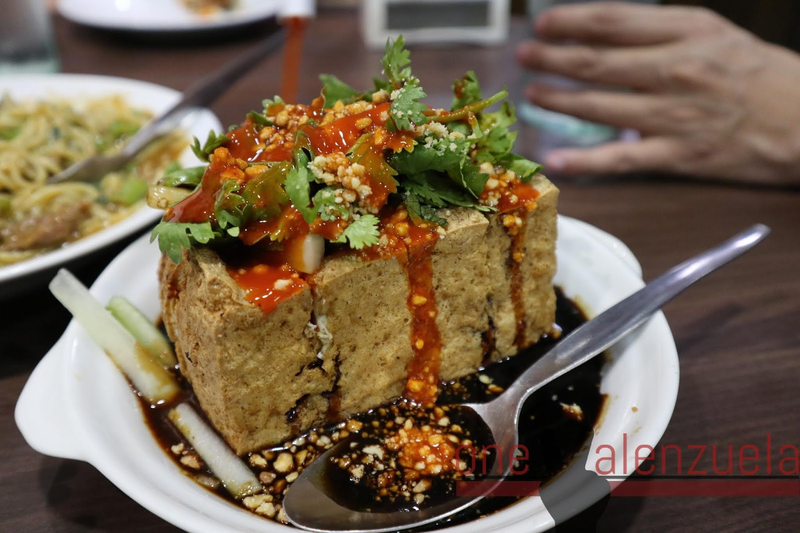 It is basically made of around 80% vegetables with shrimp head, seaweed, rice noodles, and ground pork. Despite One Valenzuela's familiarity with the place, she learned something new: another way of eating the lumpia! Mr. Ivan Dy demonstrated it to the group. 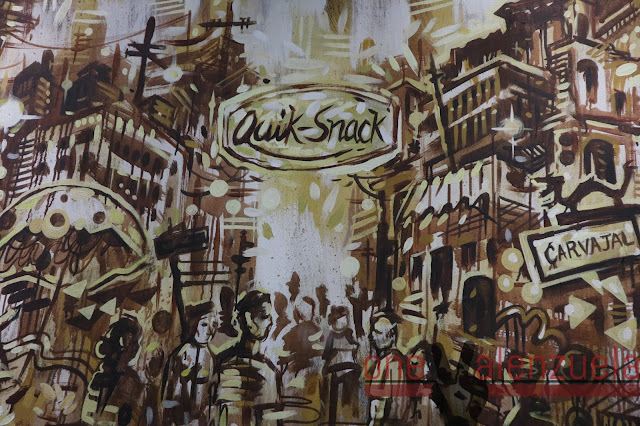 2nd Stop: Quik Snak along Carvajal Street – One Valenzuela tried to visit this restaurant several times on a Sunday but was not able to dine because, now she knows, it is closed on Sundays! She is very happy to be able to eat here finally through the food tour. Carvajal Street is such a wonder! Lots of interesting food to check. 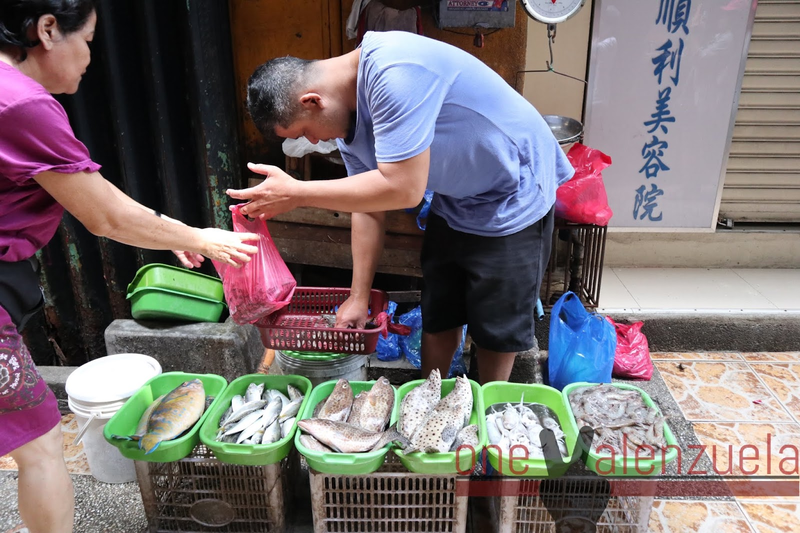 Here's a man selling some fresh fish. Here, they were able to sample the following: Empanada (meat pie) which has kuchay and pork; Tokwa ni Amah Pilar, a savory-sweet tofu dish named after Grandma Pilar which is basically a deep fried tofu slathered with sweet soy sauce, chili, cucumber, peanuts and is topped with cilantro; and Pansit Satimi Guisado, egg noodles with spicy sate sauce, beef, and kangkong leaves. While waiting for the food, you may go around the restaurant and read its history on the walls. 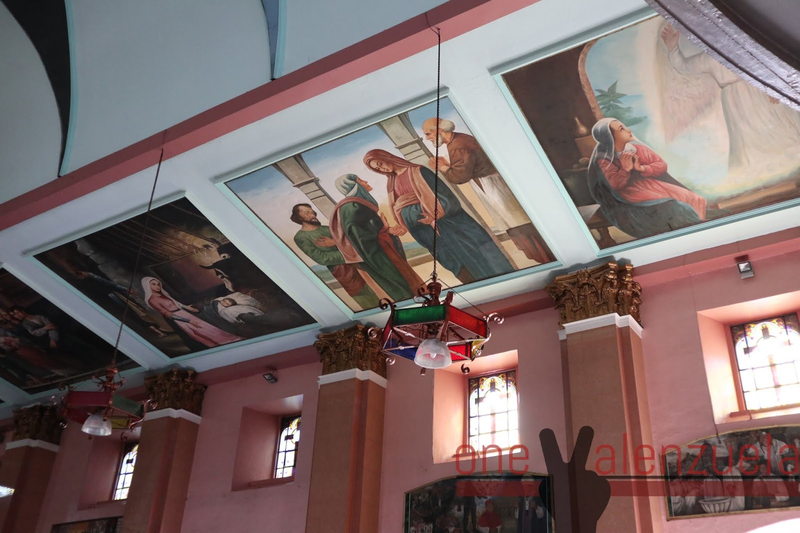 Mr. Ivan Dy also explained how the place humbly began with Amah Pilar. It is now managed by her grandson. A depiction of Carvajal Street on Quik Snak's wall. 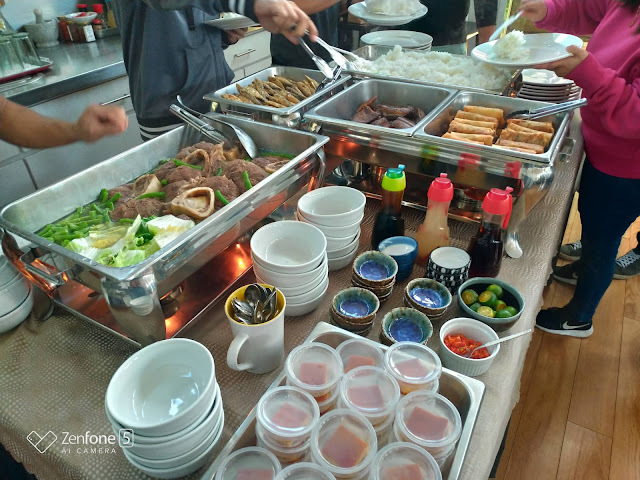 3rd Stop: Sincerity Cafe and Restaurant – this gustatory spot offers what they call as "Tsinoy Lutong Bahay” (Filipino-Chinese home cooking). Again, three items on the menu were offered to the group: Oyster Omelet, fried oyster cake with bean sprouts and camote (best eaten with chili sauce); Quekiam with Atsarang Labanos (pickled radish); and Sincerity’s famous Fried Chicken which has various herbs and spices, giving it a unique taste. Sincerity's Fried Chicken is just delish! 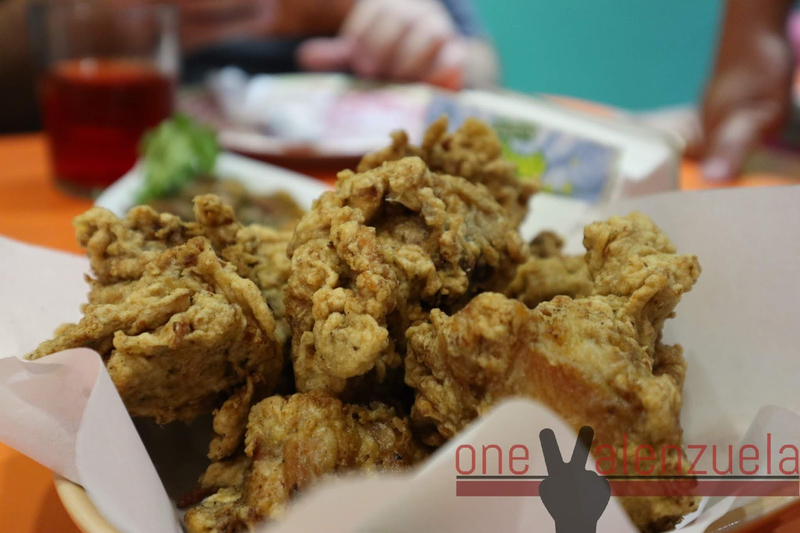 For Fried Chicken lovers, you shouldn't miss this. Oyster Cake. One Valenzuela's first time to try oysters cooked the omelet way. 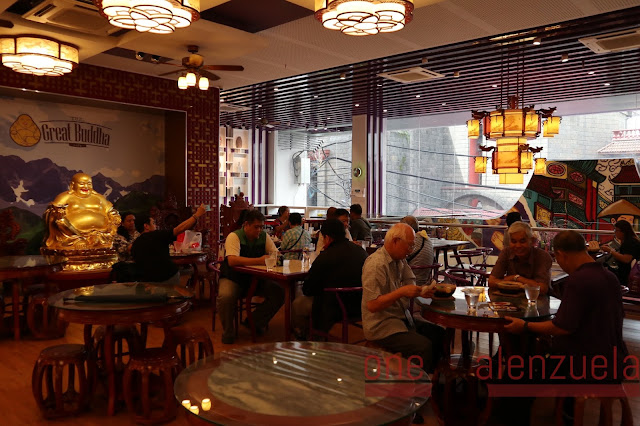 Many people dining at Sincerity Restaurant. This one is at Yuchengco Street. One Valenzuela first ate in their branch at Lucky Chinatown Mall. 4th Stop: James Grocery - The whole group, after eating from the previous dining places, was already full by this time. 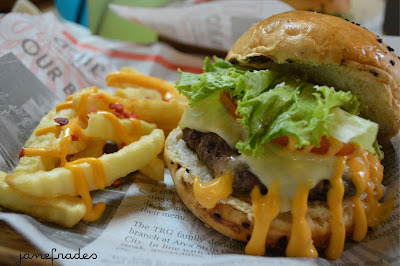 Thus, it is a welcoming break to have something light at James Grocery, located at the corner of Carvajal Street. 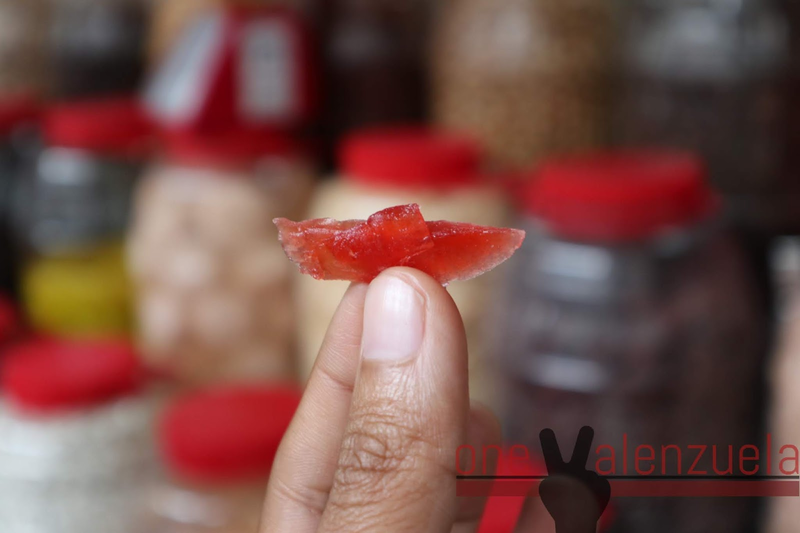 One can easily spot it with its array of nuts and preserves display such as pork floss, candied ginger, nuts, salted plum, and champoy. The whole group was able to taste what's in the lined up jars. 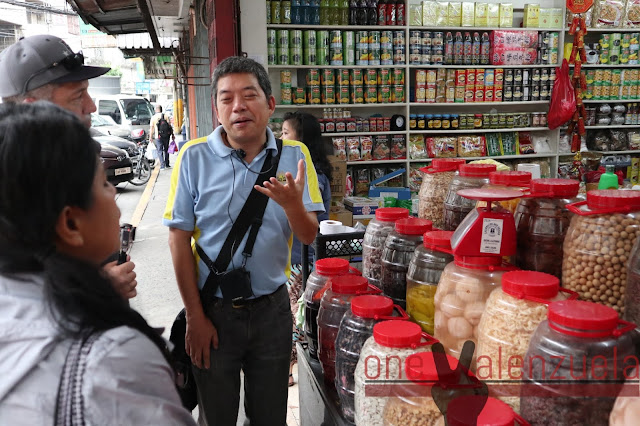 5th Stop: Eng Bee Tin’s Big Store (near Ramada Hotel) – This is the final location which the group visited along Ongpin Street. Here, they were already so full but was still able to taste some mochi and hopia. 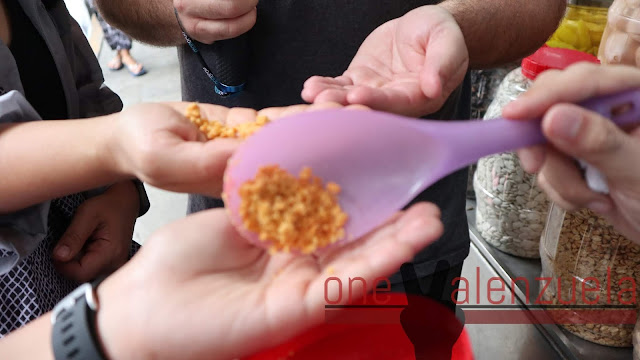 Many may notice that Eng Bee Tin offers a variety of food products that one can buy and bring home. 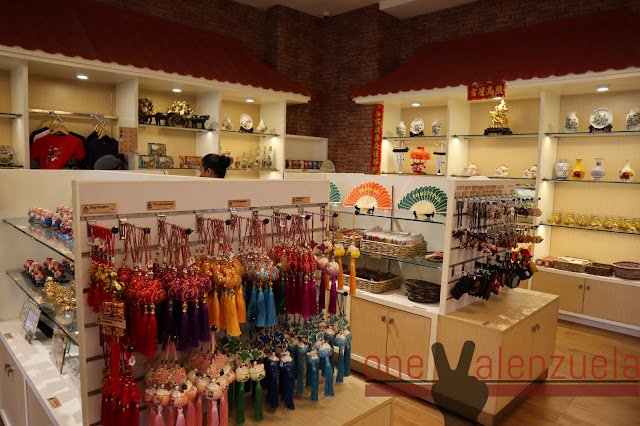 One Valenzuela also went upstairs to check out their souvenir shop and its restaurant, The Great Buddha Cafe. Mr. Ivan Dy explains more about the history of Eng Bee Tin. 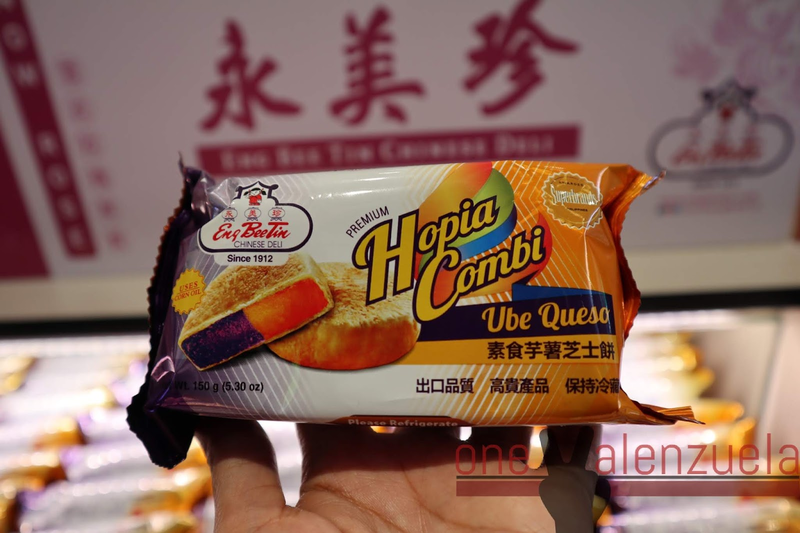 You may also take photos with this giant hopia display. Souvenirs may be bought here on the second floor. 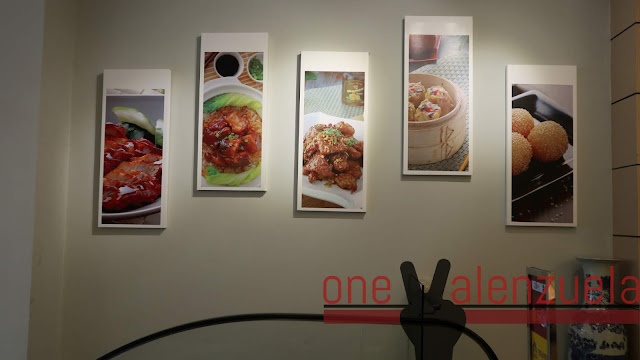 Photos of The Great Buddha Cafe's food selection will greet you as you go up the escalator. 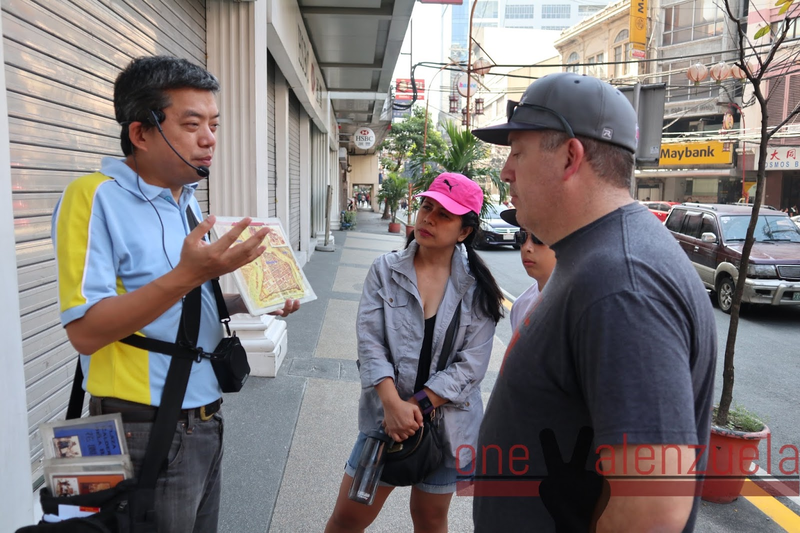 Thank you, Mr. Ivan Dy of Old Manila Walks for that great Binondo Food Wok! 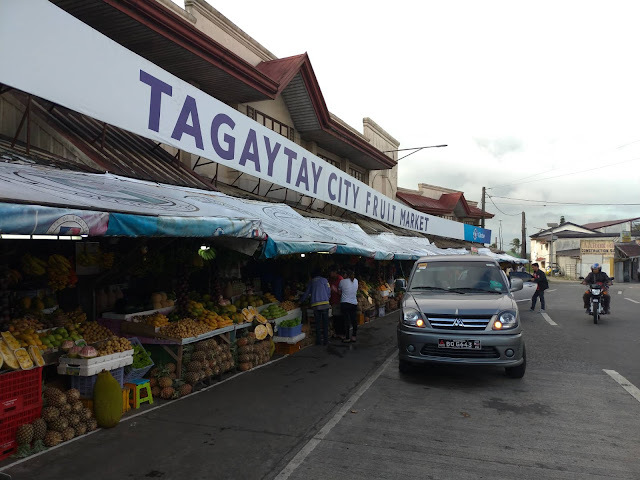 From Brgy. Malinta, ride a jeepney going to Monumento LRT. Next, ride the train and go down Carriedo Station. 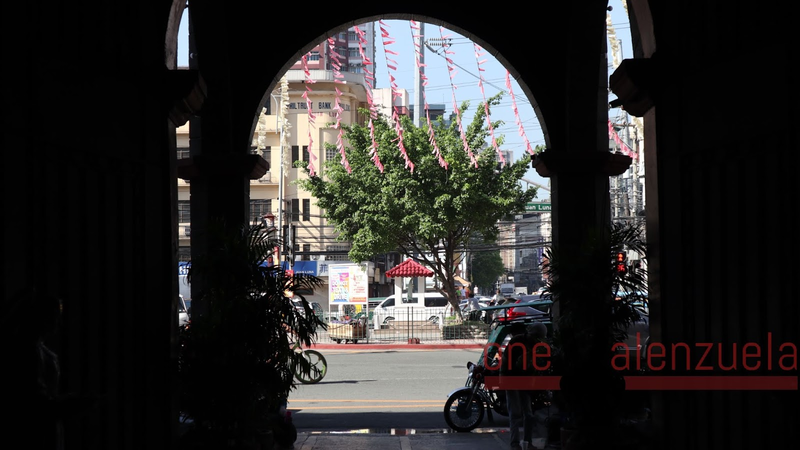 From there, Plaza Sta. Cruz is just a 5 to 10 minutes walk.